Daryl Johnson (Worcester Park, United Kingdom) on 6 August 2009 in Documentary & Street. 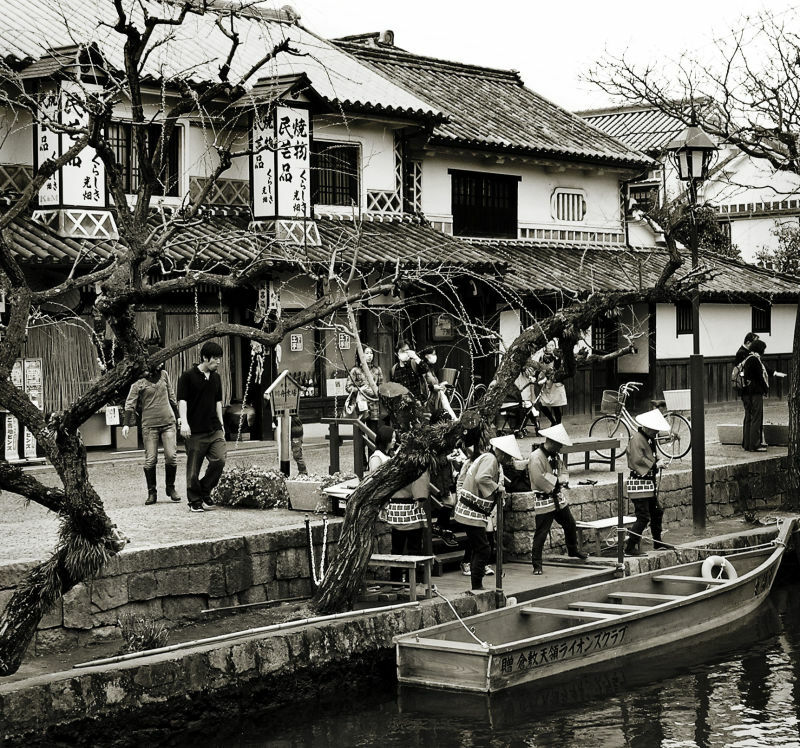 A famous sightseeing area in Kurashiki city, Okayama prefecture. The Bikan Chiku area is the old merchant quarter, famous for its 17th century warehouses. A wonderful scene in your wondrous B&W ! I love this image! There are so many things to study in here, the architecture, the street, the people dressed so variedly, the wharf made of stones in a pleasant pattern and...the trees, those unique shapes in the Japanese landscape. And how well the monochrome suits the image! Sorry to hear about the computer disaster! Be patient! If nothing is lost......it is still OK! Really nice shot, I like your processing! Beautiful shot and I love the processing. Good luck with the computer. Wonderful picture, "i'm lovin' it " \o/. I love your picture, it is a perfect B&w shoot. This is a very cool place. Love this image. Good luck with the computer. Sorry to read about your PC woes . . I know what even a false alarm feels like and I got close to needing a re-install myself here. Good luck. Good choice of b&w here, heightening the interest of this shot. What a totally cool shot! I just love those hats they are wearing...what a scene! @bluechameleon: Cheers bc! It's quite a famous tourist area there, but not too over the top luckily. Hello, Beautiful B & W for this wonderful picture. Good day. Very beautiful. the B/W shots are always very beautiful. They give the abstract picture of the subject and doesn't distract from the main concentration. Lovely capture and very good composition. @Srujan Chennupati: Thank you Srujan! Daryl~ Terrific capture of Life! beautiful light, beautiful shot, love all the detail!!! hello! :) hope your computer woes are soon solved!! A wonderful scene! Beautiful B/W! It is scenery that cannot be seen in Hokkaido. Beautiful image. Fantastic scene. If there were no people dressed with contemporary clothes and I could say this was taken from ancient japan. looks like a cool locale. @Daniel: Thanks Daniel! It's an interesting place.